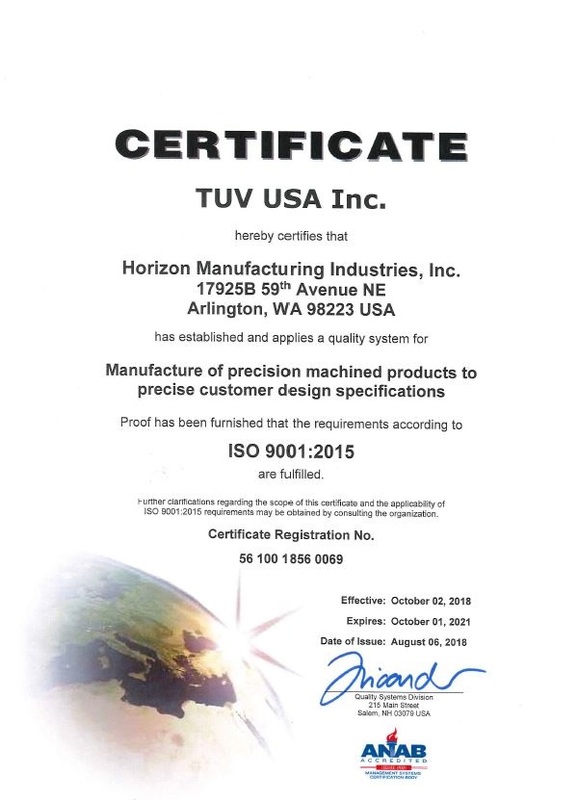 Horizon Manufacturing began in 1990 with the goal of providing uncompromising quality, and outstanding service at a fair price. This formula has proven to be effective and has been the foundation that has attracted new customers, and retained those already doing business with us. With decades of machining experience, we understand the challenges that can often derail other machine shops. If someone says it can’t be done, try us!